Just because you cast one of the hottest men to ever exist as Albus Percivil Wulfric Brian Dumbledore does not mean that you can make him suddenly stylish and dapper. 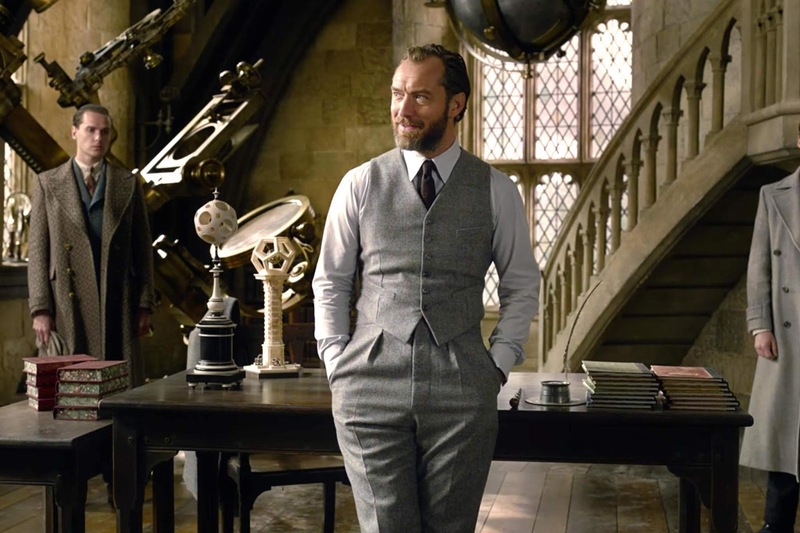 I know that ~older people~ are not always known for their fashion sense - and Dumbledore was at least 115 or so when he died - but the jump from a tasteful 1920's three-piece suit to half-moon spectacles and a waist-long beard is just a bit much for me. When stills and trailers for Crimes of Grindelwald started to be released, I thought, "maybe it could happen." 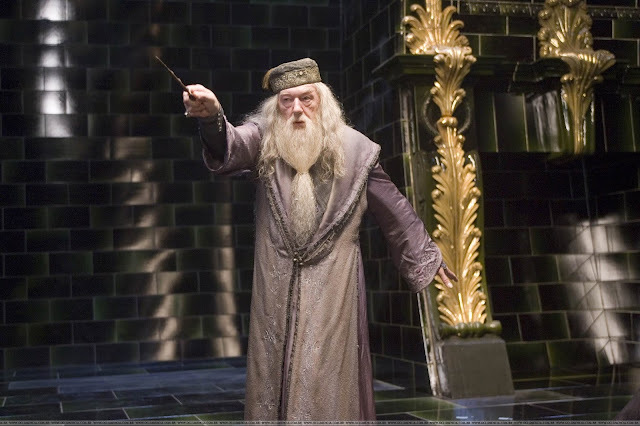 During my summer re-read, however, I traveled along with Harry in the pensieve to Professor Dumbledore's first encounter with then-Tom Riddle. This memory took place in 1938, just eleven years after Crimes of Grindelwald is said to be taking place. Ignoring how remarkably quickly Dumbledore aged in those eleven years (maybe he was going through a lot of stress, I can't blame him), the point is made that Dumbledore was not dressed well - by Harry's, Muggles', or even his present-day standards. "...he strode off along the pavement, drawing many curious glances due to the flamboyantly cut suit of plum velvet that he was wearing. 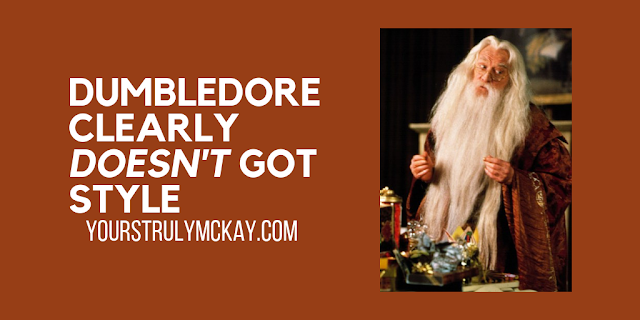 ‘Nice suit, sir,’ said Harry, before he could stop himself, but Dumbledore merely chuckled as they followed his younger self a short distance..."
...but really, not that differently. Although we can't all have as good of a glow-up as I have had (I think I'm pretty cute, okay? 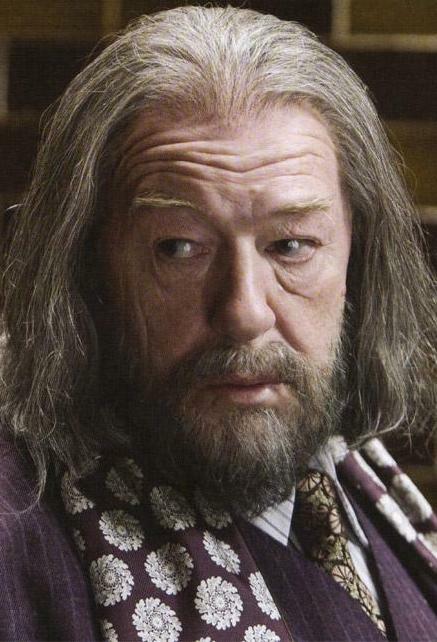 ), I don't think that anyone can disagree that Professor Dumbledore apparently did not age well. Let's be real, Jude Law will always be hot, so you probably could've put him into a loose interpretation of the purple velvet suit and we'd all still be swooning over young Dumbledore. And don't even get me started on Grindelwald... When I first saw Fantastic Beasts, I leaned over to my friend and said that I could understand why young Albus fell for him, because Colin Farrell is hot. Then he changed into icky (on multiple accounts) Johnny Depp and I was more confused than ever. 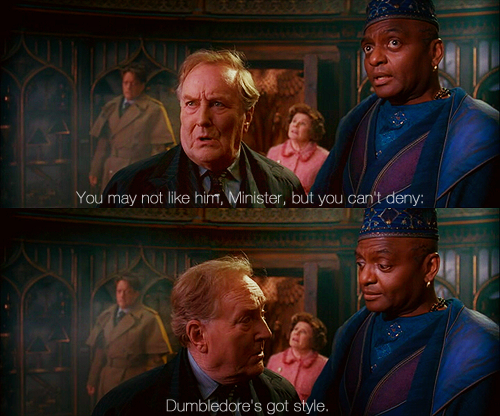 Dumbledore clearly DOESN'T got style.